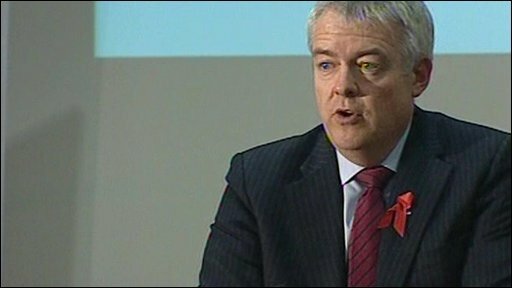 Carwyn Jones has been named leader of Labour in Wales and as first minister in the Welsh assembly, replacing Rhodri Morgan. His win, with more than 50% of the vote, was announced by Katie Murdoch, who became one of the party's youngest members when she joined Welsh Labour in September. Mr Jones said it was "humbling to be elected to this position, and particularly humbling to follow Rhodri" as leader.